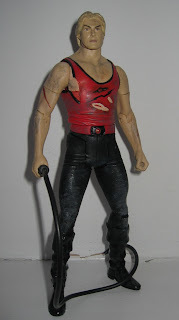 "I'm awaiting series two with baited breath - in the meantime thought you might like to see my attempt at a Flash custom from his whip duel with Barin. He'll do until you make an exclusive..."
Thanks Guy! What about the rest of you? Any pics you wanna send in of BBP! figures "in action"?